Just cut and place your favourite fruits, vegetables, meat or more onto the food grade transparent trays, set the temperature and let the machine does its magic. 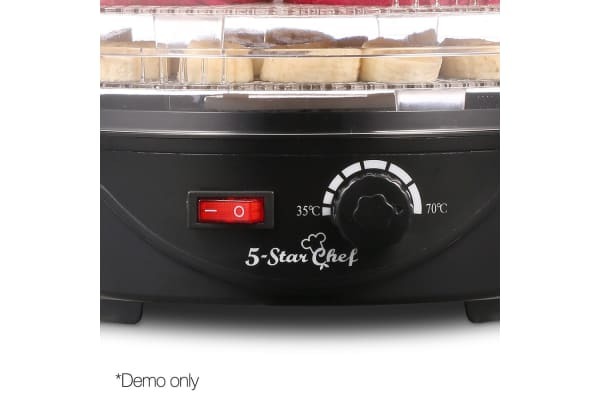 The 3600 heat-cycling system ensures that every food tray is given the right amount of heat and air for perfect drying. 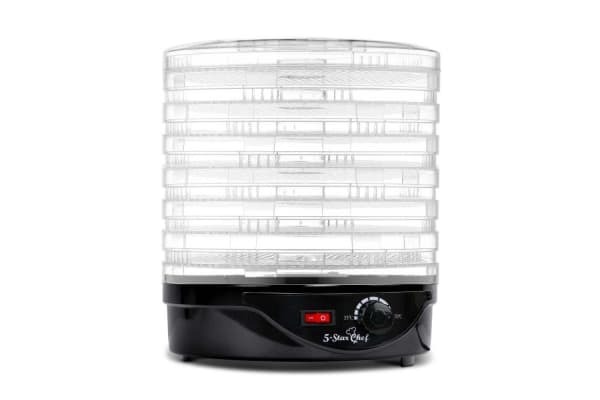 Plus, the transparent lid allows you to keep track of the entire drying process as well as preventing heat loss from the operation. Not least, the trays can be adjusted for height so that you can easily dry a variety of foods with different thickness. 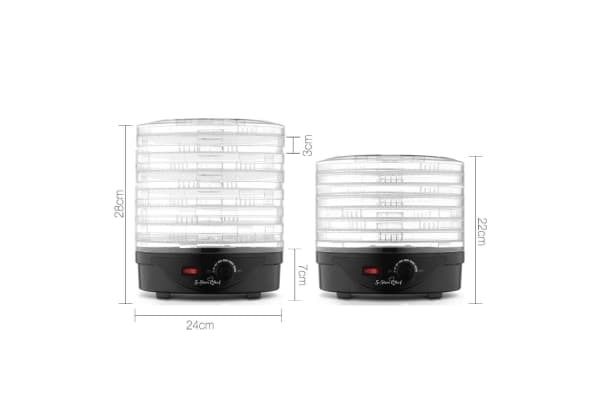 Furthermore, the Food Dehydrator works silently with little energy consumption and has a built-in overheating protection to ensure nothing goes wrong with the drying. And after the drying’s been done, simply wash the plastic trays by hand or with the dishwasher.